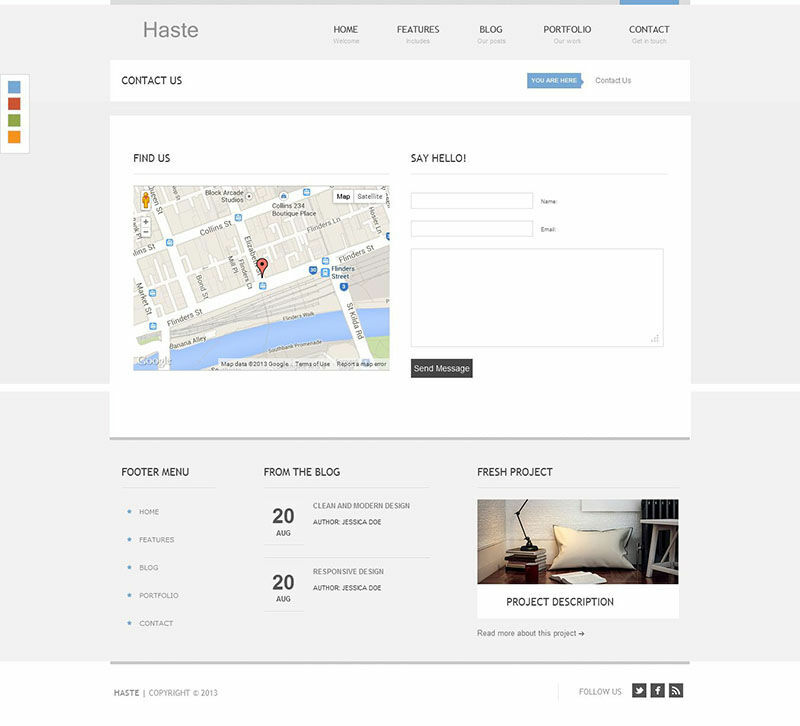 Haste is a modern HTML template mainly created for corporate and portfolio websites. It can of course be used for other purposes. 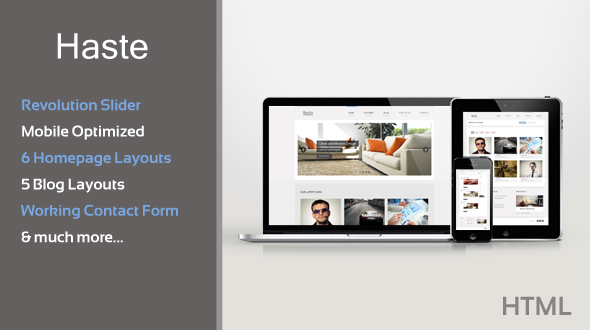 It features a clean design that is perfect for showcasing your work. The popular <b>Revolution Slider</b> is included with this template, value $12. 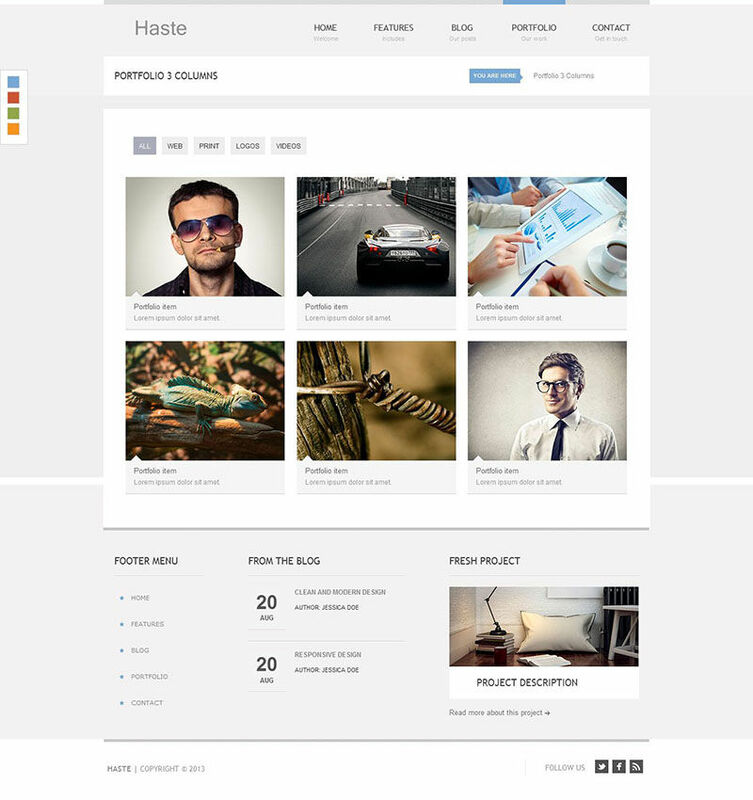 <b>Note:</b> All images used in the live preview are for demo purposes only and are not included in the download package.